Our agent will be waiting for you at KIA arrivals. You will be transferred to the hotel in Arusha for resting and preparing for trekking. A briefing will be held by our main guide in late afternoon hours. We eat breakfast early in the morning and drive to Machame village (1490m) by 4×4 cars. After repacking and grouping porters we head to Machame Gate (1800m), the gate of the Kilimanjaro National Park, where we begin our summit attempt for the highest free standing mountain in the world (5895m). 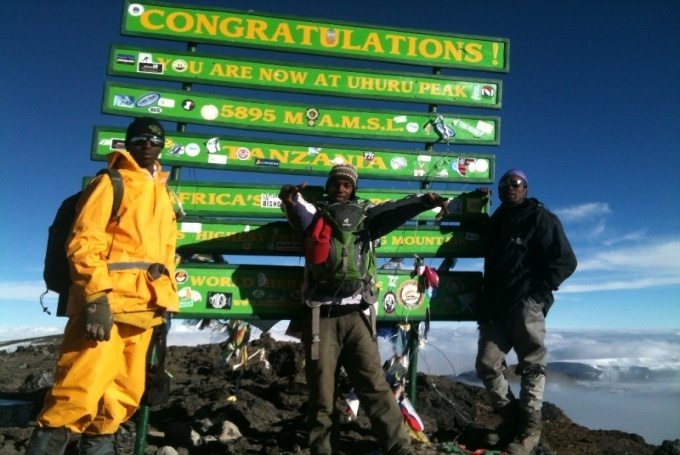 After going through thick woods for 10km for 7 hours we reach Machame Hut (3000m). All nights on route will be spend on mountain camps in 2 persons tents. Three meals a day, prepared by our cook. On the second day of trekking our distance is two times shorter, as it amounts to 7km in total. Hike is harder as the oxygen in the air become thin as we climb. For 4 to 6 hours we go through Shira plateau to Shira Camp (3840m) laying between Shira and Kibo craters, close to the spring. Night in tents or in the cave. Third day of trekking is acclimation day, when after 5 hour climb from Shira Camp to the Lava Tower (4630m) mountain we decline to scenic Barranco Camp (3895m). 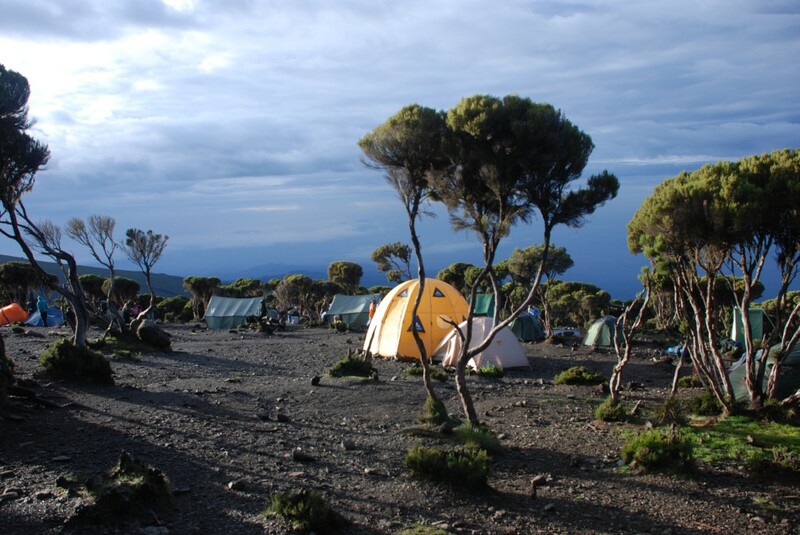 Trekking from Lava Tower to Barranco Camp laying at the foot of Kibo crater lasts 2 hours and provides marvelous views! The hardest climb of the day is in the morning, as we will face the 300m Great Barranco Wall (aka Breach Wall), which is so steep that you will need to use your hands to climb! Than we move down to Karanga valley, which is an acclimation reserve, allowing us to change plans depending on our state of being. It is also last stop where we can supply our water. On 4600m, where we will stay for a night, the water freezes and word “Barafu” in Swahili stands for “ice”. What awaits us, is the hardest part of our expedition, because only after 4-5 hours of sleeping, 16 hours of walking is ahead. After the meal, we depart at 1 am at latest. Minimum 5 hours will take us very hard and steep climb to the Uhuru Peak (5895m), but the prize for this effort is not only pride of battling own weaknesses but also a marvelous and incredible sunrise. After 3 hours of marching, we go down for resting and breakfast to Barrafu Hut, and then we head to Mweka Camp (3100m), where we spend last night on the trail. Last day of trekking is a walk in thick, moss-covered humid forest. After 3-4 hours we reach Kilimanjaro National Park’s gate – Mweka Gate – where we receive diplomas of summiting the Africa’s Roof and we come back to the hotel in Arusha in 4×4 cars for a meal and short rest. In the evening we drive to the hotel in Mto wa Mba town, close to Manyara Lake National Park, mostly inhabited by Maasais and peoples of Ranga. After an early breakfast we drive to begin our safari in Manyara Lake National Park which is found at the foot of wiggly scarp of Great Rift Valley. You will see giraffes, elephants, antelopes, lions, hippos, baboons, warthogs and many species of birds and butterflies. We will take food to the safari. In the evening we go to the Karatu town to the camp for dinner and overnight stay. 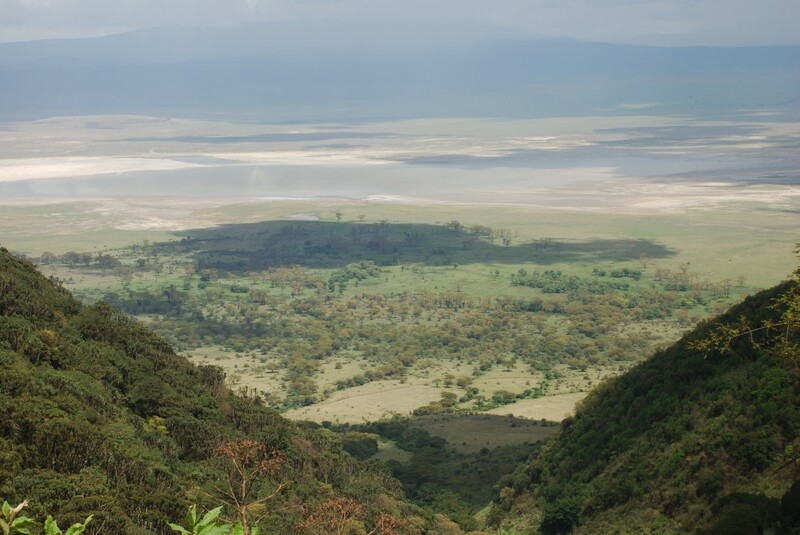 Preserved Area Ngorongoro is an obligatory stop for every tourist’s plan coming to Tanzania. Area spreading over 8292 km2 is named after Ngorongoro crater, which is the biggest caldera in the world created around 2-3 million years ago as an effect of volcano mountain implosion of an alike height to Kilimanjaro mountain. It is land of wild animals and untouched and unspoiled nature by civilization. In the afternoon we head to a beautiful and vast Eyasi lake, which in years of heavy rainfalls has a diameter of 80km north to south, and in dry years extinct almost entirely. We spend night in one of the tent camps in the neighborhood. 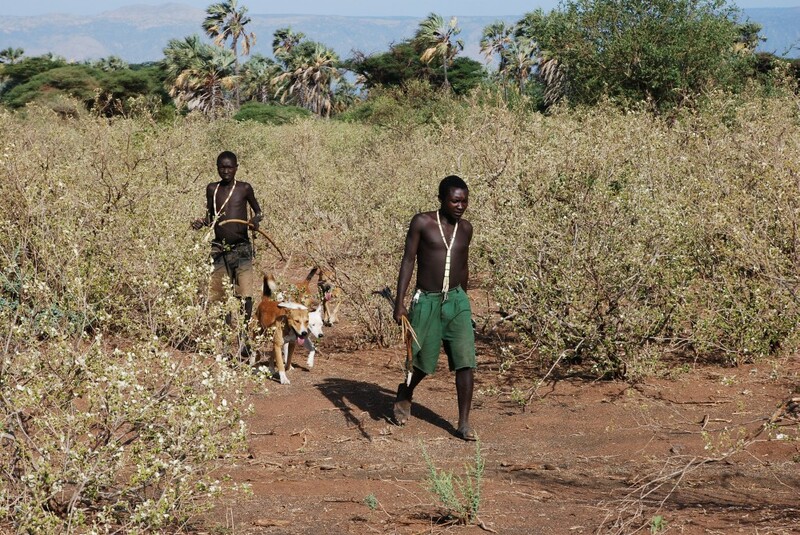 We are visiting last Tanzanian hunter-gatherers – Hadza tribe, living in the proximity of Eyasi Lake. We observe how the members of this nomad tribe live and (if we are lucky) we will go hunting with them. In the afternoon we drive to Arusha, where we spend our last night in Tanzania.